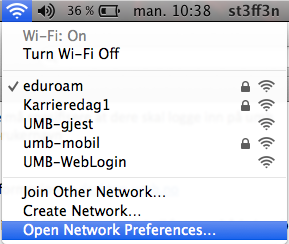 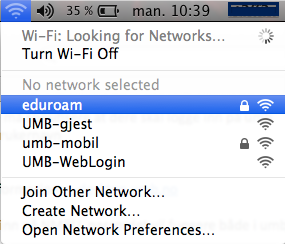 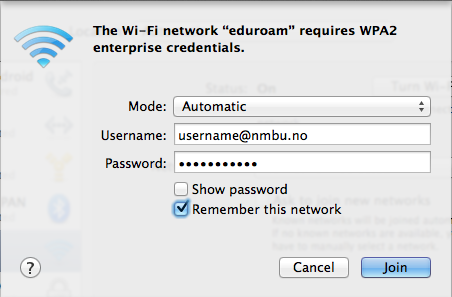 It is recommended to use the automatic setup for Eduroam in order to get the most stable connection. If you experience being connected automatically to nmbu-guest, please have a look below. 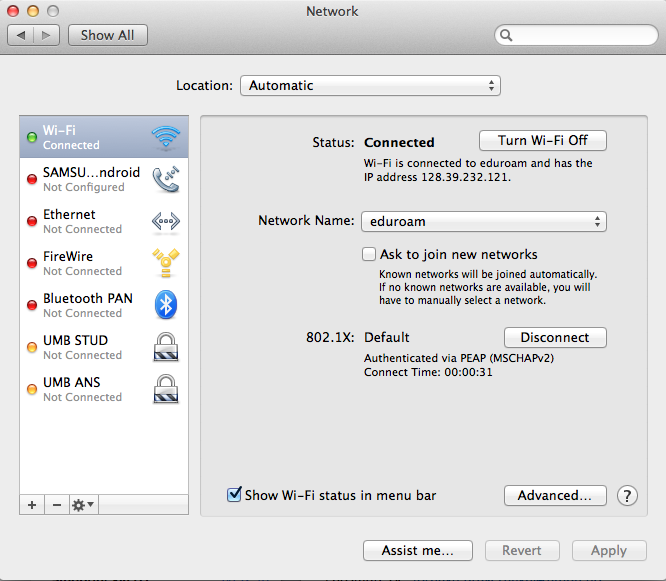 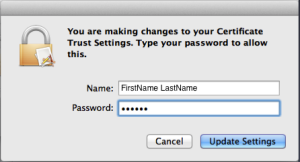 Automatic set up for OSX. 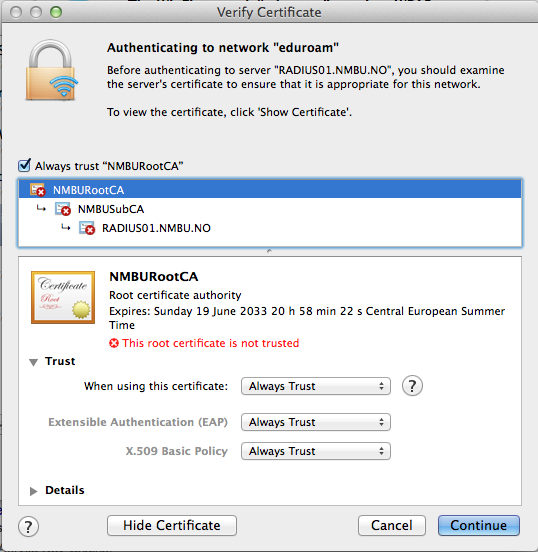 Expand the NMBURootCA and make sure all is set to Always Trust now hit Continue. 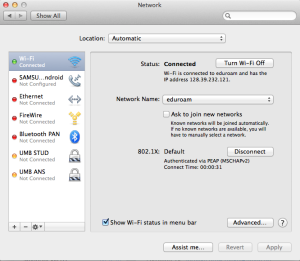 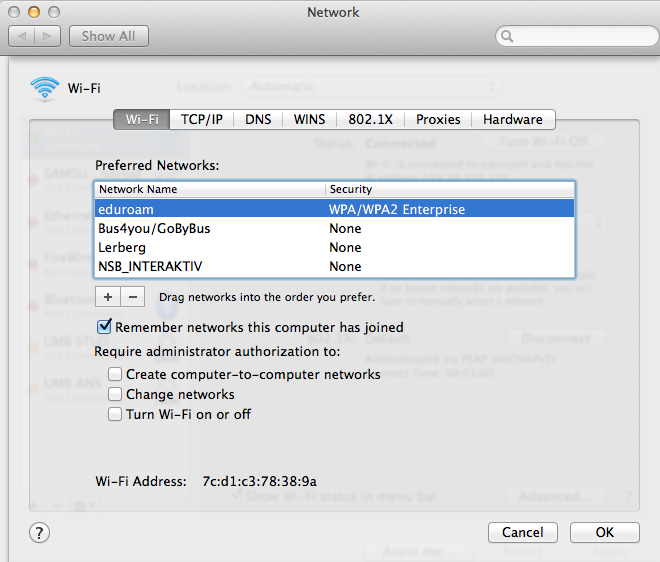 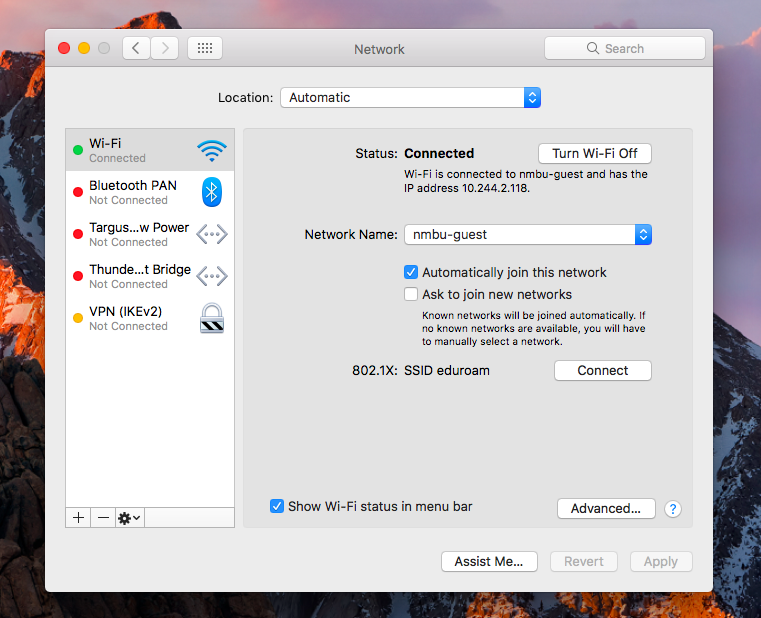 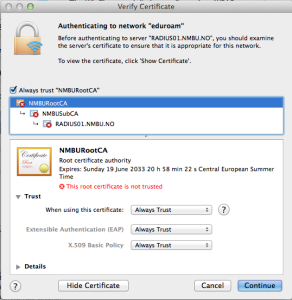 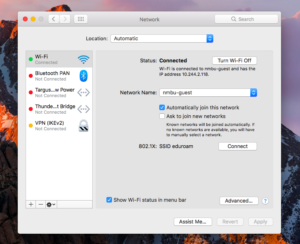 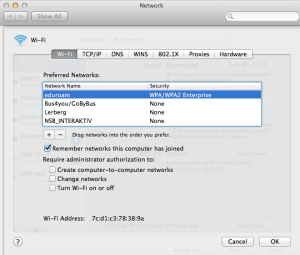 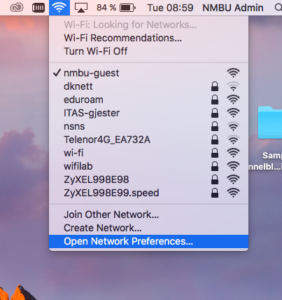 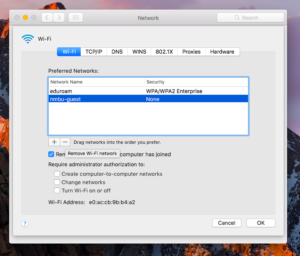 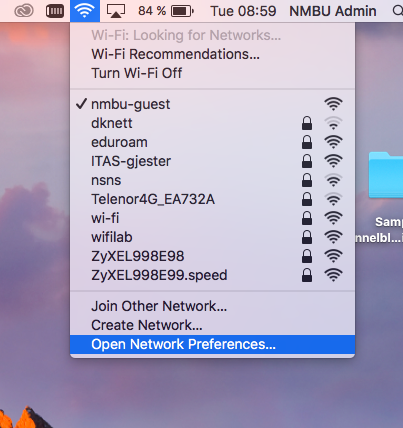 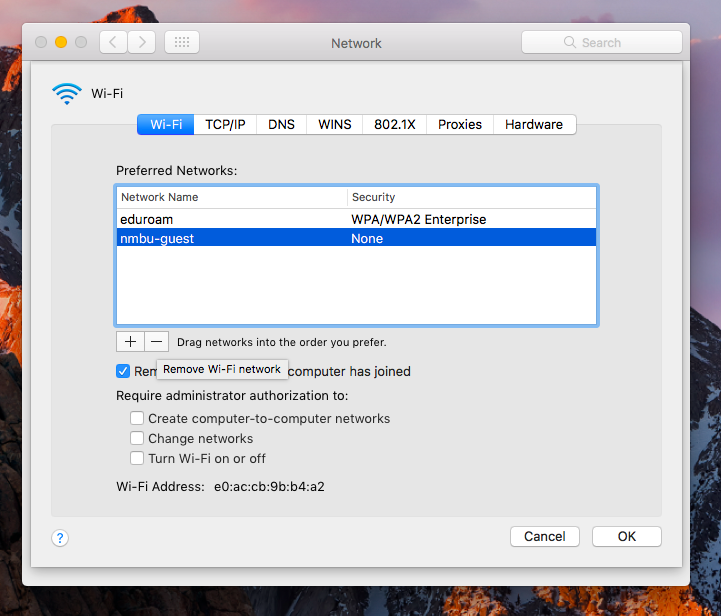 Have you used nmbu-guest it is important to delete nmbu-guest network profile from OS X, in order to avoid the device automatically jumps from eduroam to nmbu-guest. nmbu-guest is now removed as a remembered network and will not connect automatically until it is manually added.